Robert MacLean was a civil aviation security specialist working for the Transportation Security Administration in 2003 when he was briefed about possible new terrorist threats from al Qaeda. Soon after, he and fellow air marshals were informed via unencrypted messages on their cellphones that their cross-country and international overnight missions on the at-risk flights were being canceled. The message was not labeled sensitive, according to a summary of the case from the Merit Systems Protection Board, and the cancellation was blocked before taking effect. After going to his supervisor and the Homeland Security Department inspector general’s office without results, MacLean approached an MSNBC reporter and expressed not-for-attribution alarm that air marshal coverage of U.S. flights was being reduced at a time of heightened threat. After a three-year probe of the anonymous leak, TSA fired him, and his cause was taken up by whistleblower organizations such as the Government Accountability Project and the Project on Government Oversight. MacLean’s earlier appeal was rejected in 2010 by an administrative judge, and again in July 2011 by MSPB. This latest congressional intervention was undertaken Friday by Reps. Elijah Cummings, D-Md. ; Carolyn Maloney, D-N.Y.; and Dennis Kucinich, D-Ohio; -- the first two rank high on the House Oversight and Government Reform Committee. That panel’s chairman, Rep. Darrell Issa, R-Calif., is the original sponsor of the pending 2011 Whistleblower Protection Enhancement Act (H.R.3289), a companion to which (S. 743) was introduced by Sen. Daniel Akaka, D-Hawaii. Both would expand whistleblower protections for disclosure of sensitive information and cover TSA workers. The lawmakers cited freedom of speech for whistleblowers in asking the court “to restore a basic premise for merit systems principles and to restore the statutory infrastructure necessary” for the 1989 Whistleblower Protection Act. Only Congress or the president through executive order, the lawmakers wrote , “can restrict the public free speech rights of government employees to disclose information protected under the WPA, and Congress must act with specificity. “ The letter stated that agency rules cannot override the freedom of expression afforded under the whistleblower law. “This principle was a carefully considered, repeatedly reaffirmed cornerstone premise when whistleblower rights were created in the Civil Service Reform Act of 1978,” the lawmakers said. 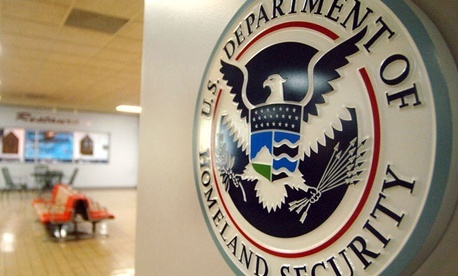 A DHS spokeswoman said TSA cannot comment on pending litigation. Devine argued the government has chosen efficiency over justice. He accused MSPB of ignoring the Code of Ethics for Government Service, which requires workers to put loyalty to the highest moral principles above loyalty to persons, party or agency. GAP has nearly 700 signatures on a petition urging members of Congress to back the bid to overturn the MacLean ruling. POGO launched a similar petition in January and has gathered more than 6,000 names. A spokeswoman for the Office of Special Counsel said the office had not entered the case on behalf of a party but had only filed an amicus brief with MSPB on a on a narrow issue of what exceptions exist to the right of employees to blow the whistle. Correction: The original version of this story mistakenly implied Robert MacLean was fired in 2003. He was fired three years later.